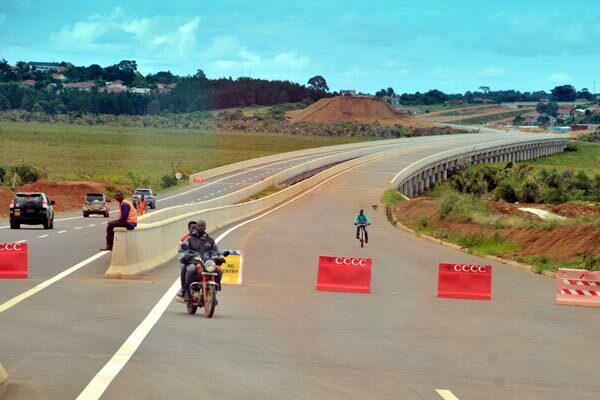 Two Soldiers Arrested over Entebbe expressway robbery. KAMPALA. Calm has been witnessed on Entebbe-Kampala Expressway after two UPDF soldiers were arrested on allegations of robbing motorists at night. The Kampala Metropolitan Police spokesman, Mr Luke Owoyesigire said that the two suspects are Cpl Michael Ssewanyana and Cpl Badru Kayongo who since their arrest two weeks ago, police have not received any more case regarding robbery on the highway, which is still under construction. Owoyesigire declined to divulge the details of the arrested suspects but said they have now secured the highway and the two soldiers have already been produced in court in Mpigi District and remanded on armed robbery charges, he added. 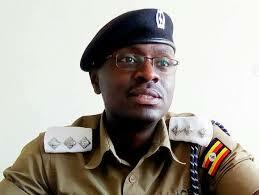 Kampala Metropolitan Police Spokesperson Luke Owoyesigire. It is allegedly said that the two were working with three other soldiers who escaped during the operation but police are still hunting the three soldiers on the run. Owoyesigire revealed that among their victims included a UPDF soldier Cpl Ramathan Nsubuga, attached to the Air Force, Mr Kisakye Muvawala, Mr Fred Ssendyoose and Mr Shafik Mutyaba. According to police reports, the suspects have been carrying out robberies at Katale, Kinawa, Kikajjo and Nateete areas. “Most of the robbery victims are motorists who have been using the highway illegally since it hasn’t yet been officially opened. But since the end of last month, there hasn’t been any criminal incident reported on the highway,” Mr Owoyesigire said. The highway, whose completion has been behind schedule, has been a haven for crime since it is dark at night and unprotected. According to police documents, the suspects wearing army uniforms and carrying firearms would block their victims using numberless vehicles on the highway. Before the unsuspecting victims would make a U-turn to safety, the suspects would put them on gunpoint, rob their mobile phones and money.